On this website you will find the well-arranged and topically elaborated tourist tracks through Prague which you can download electronically FOR FREE. Everyone will find the suitable tracks including the most popular tourist sights – no matter if you are coming for the first or second time to Prague. And those of you devoted visitors will find more topically oriented tracks, detailed descriptions of the sights, mysterious Prague corners and other specials. 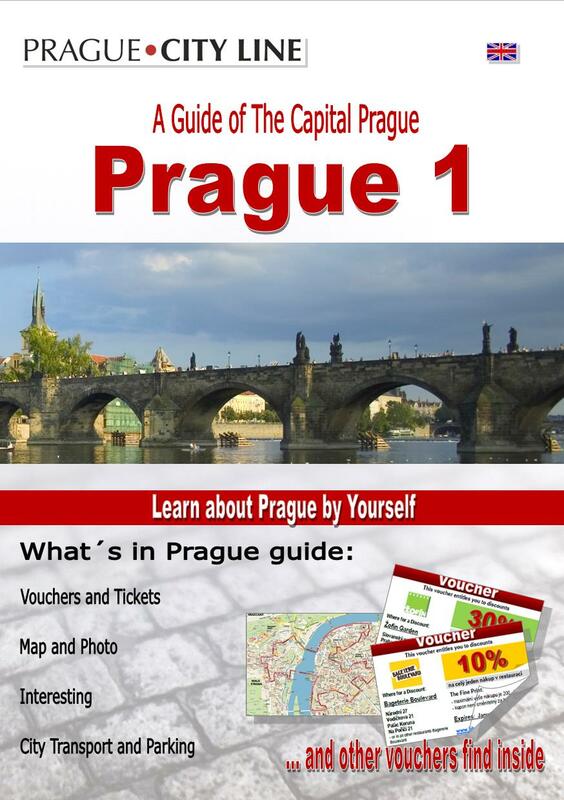 So you can simply and quickly prepare a unique Prague trip for your family or friends. You will not find it anywhere else. Download, have fun and explore Prague on your own! In this guide you will find vouchers. Print it or show at a restaurant in your mobile or tablet and enjoy the discount! In the guide will find a map. The map shows tourist route. This route we recommend as the best way through Prague, you will see all the most important. In the map are marked stops at major sights, the description in the text guide. You will also find links to museums, restaurants, hotels and other services that offer discounts or we recommend for the quality of services. You will find information about public transport and parking. In Prague, we recommend to use public transport to travel. Our guides presents quiz questions. Correct answers can be found at the end of the guide. We wish you lots of fun with their solutions. Updated: 9.11.2018 – In the guide will find a map. The map shows tourist route. 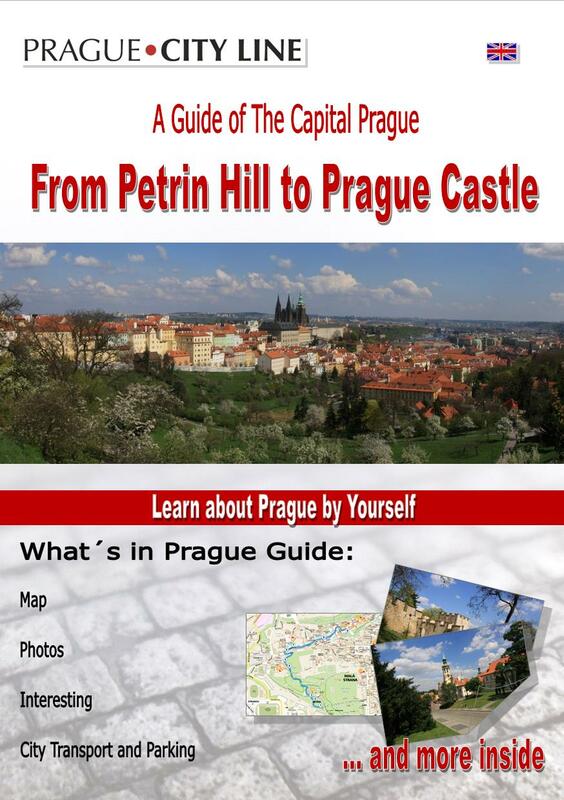 This route we recommend as the best way through Prague 2, you will see all the most important. In the map are marked stops at major sights, the description in the text guide. You will also find links to museums, restaurants, hotels and other services that offer discounts or we recommend for the quality of services. 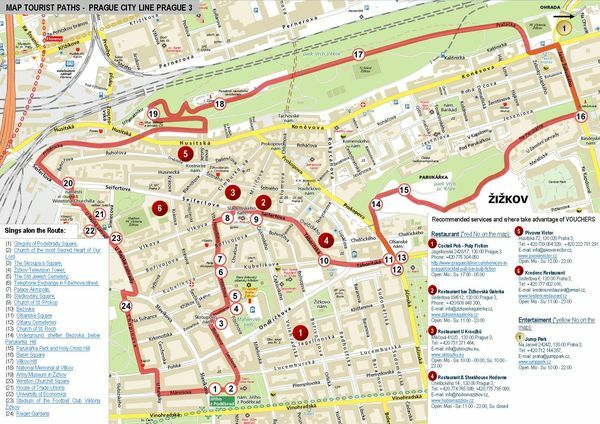 Updated: 20.10.2016 – Prague´s Žižkov stretches in the town district Praha 3 close to the centre and today we will introduce this quarter to you. We will also tell you about interesting history of Žižkov and its landmarks which make it a popular tourist location. Due to the vibrant night life and also its many cafés, bars and restaurants Žižkov is called Prague´s Montmartre. Updated: 27.10.2018 – Dear friends, this for many the most romantic track in Prague will take you around the most beautiful part of the Prague Petřín Hill, you will not miss the Petřín Lookout Tower, Mirror Maze, Rose Garden or Strahov Monastery. You will pass the places with the most beautiful views and in case of good visibility you will see also the distant surroundings of Prague. In the end the track will take you to Prague Castle. You can take a walk also in the evening or at ni-ght.The lanterns will be shining nicely and you will feel the atmosphere of the mysterious or even mystical Prague.